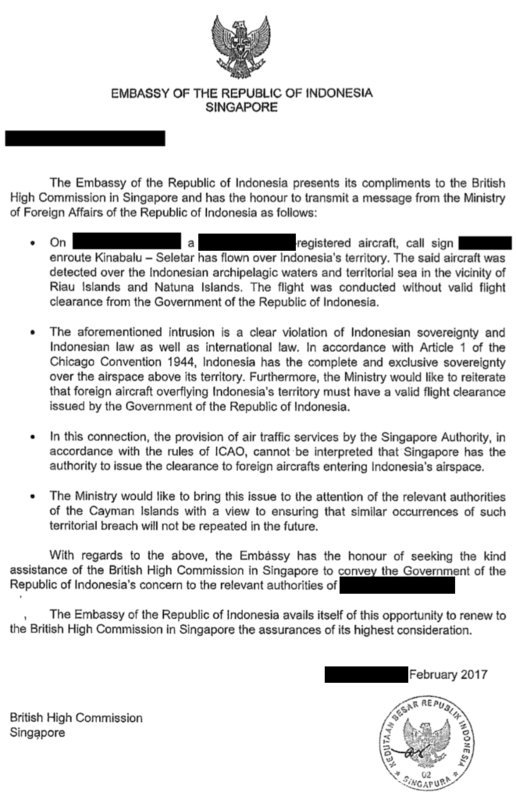 If you are operating in the Singapore FIR, consider this carefully: you may be overflying Indonesia without knowing it. Indonesia will know though, and they want you to have an overflight permit. 2. and 3. are not cool, but 1. is something to avoid at all costs. The inside of military/police cells at outlying Indonesian Airports is not pretty. Watch out for the following airways – M758, M646, M767, G334, M761, G580. 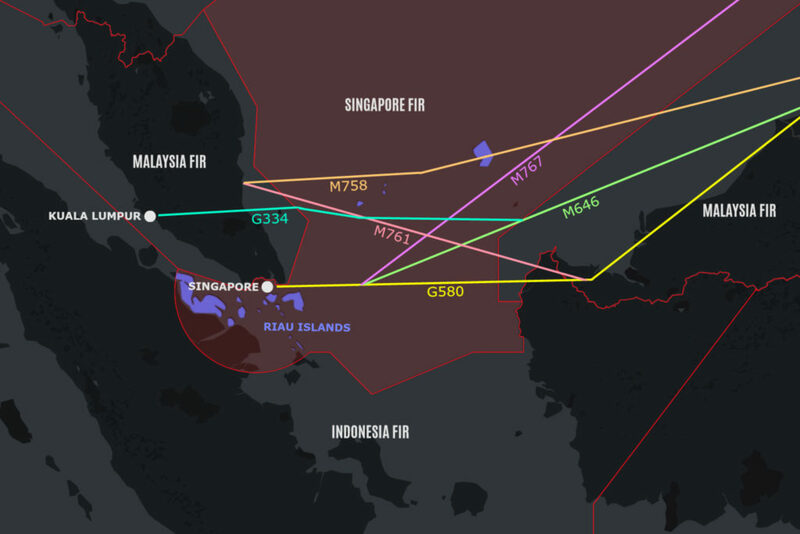 These all pass over Indonesian territory, even though the area is actually part of the Singapore and Malaysia FIRs. Indonesia has a reputation for excessively strict enforcement of permit rules. On 14 Jan 2019, two Indonesian F-16s intercepted an Ethiopian Airlines cargo flight ETH3728 for flying across Indonesian airspace without permission. The aircraft was initially supposed to operate from HAAB/Addis Ababa to VHHH/Hong Kong, but was modified at the last minute to route via WSSS/Singapore instead, to make a delivery of Rolls-Royce Trent 1000 engines. 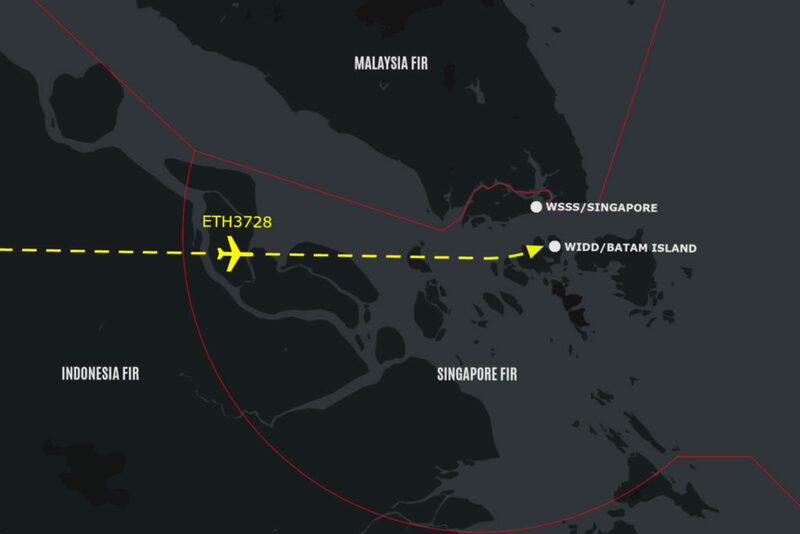 The Ethiopian Airlines aircraft was intercepted forced to land at WIDD/Batam Island – which lies right in the middle of the chunk of airspace controlled by Singapore. Another incident happened back in 2014, where a King Air plane en-route from WBGG/Kuching to WSSS/Singapore was intercepted by Indonesian fighter jets in the same airspace managed by Singapore, and forced to land at WIOO/Pontianak Airport in Indonesia. The reason? 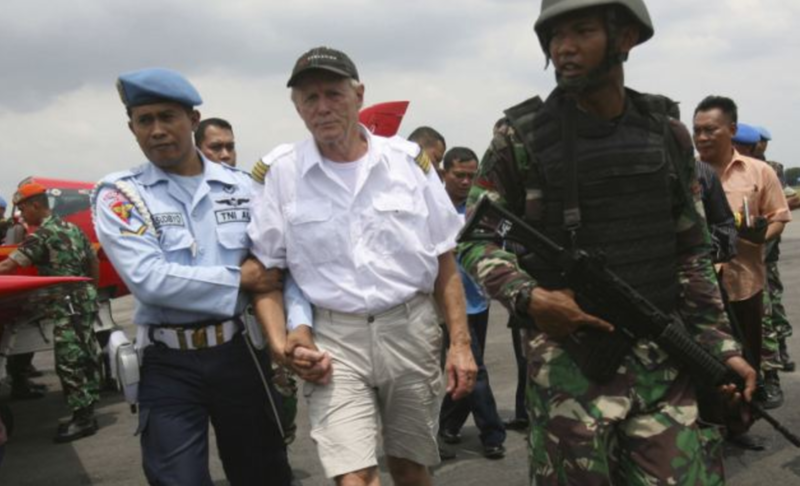 Because they were overflying some Indonesian islands out in the ocean, the Indonesian Air Force claimed they were overflying Indonesia’s sovereign skies – without a permit. Indonesia still hasn’t updated its AIP, but the rules they enforce are clear: if you’re overflying any Indonesian territory, you must get an overflight permit, regardless of the flight level. Bottom line: check your airways carefully, and make sure there are no Indonesian Island underneath. If there are, get a permit.